Enjoy our exclusive online features, contributed by our readers and staff. Passenger Train Journal welcomes your submissions of brief essays and creative photo galleries. Please send your inquiries to the Webmaster for consideration. PTJ Extra Board explores the world of passenger, commuter, and rapid transit trains from a different perspective every month. Extra Board welcomes your submissions. PTJ Photo Line is a gallery of creative railroad photography. Don Phillips is a veteran newspaper reporter and a magazine columnist writing about railroads and transportation policy for more than 40 years. He shares his insight with the readers of Passenger Train Journal. 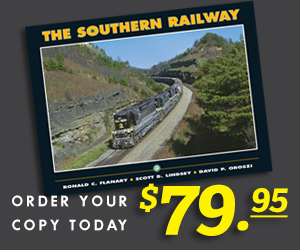 Keep up with the latest railroad news and information related to the world of passenger trains.